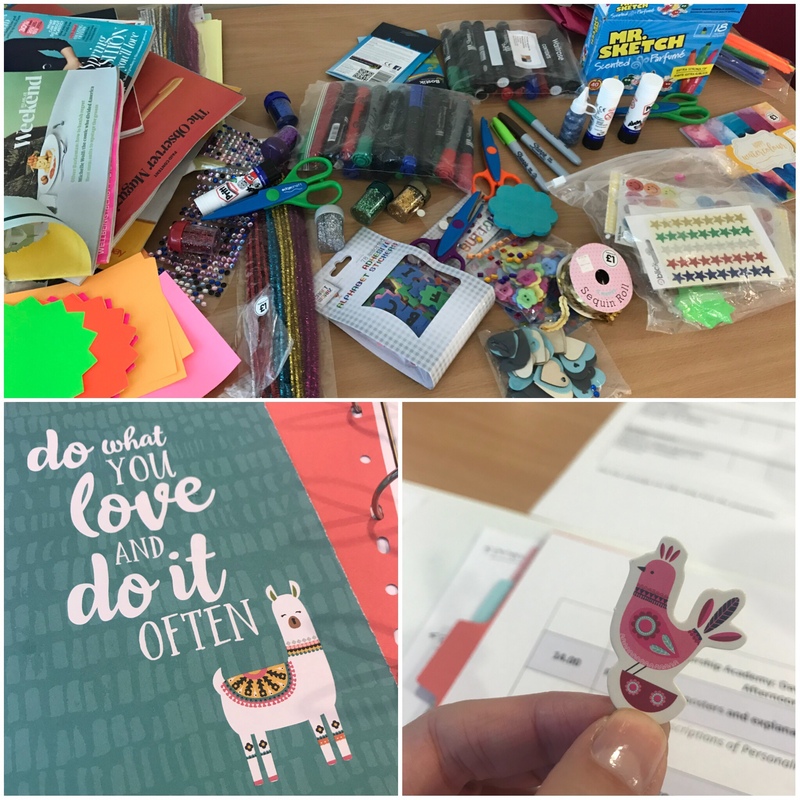 This is Part II of a three-part series about my experience of the NHS Peer Leadership Academy. Click here for Part I. It’s been sitting in my drafts folder for weeks waiting for me to have time to edit it! The 16th and 17th of October were the second two days of the Peer Leadership Academy. After the first two days in September I was looking forward to coming back because I knew the other participants and was starting to get my head around what we’d be doing. This two day block included the first lot of presentations from the group members. 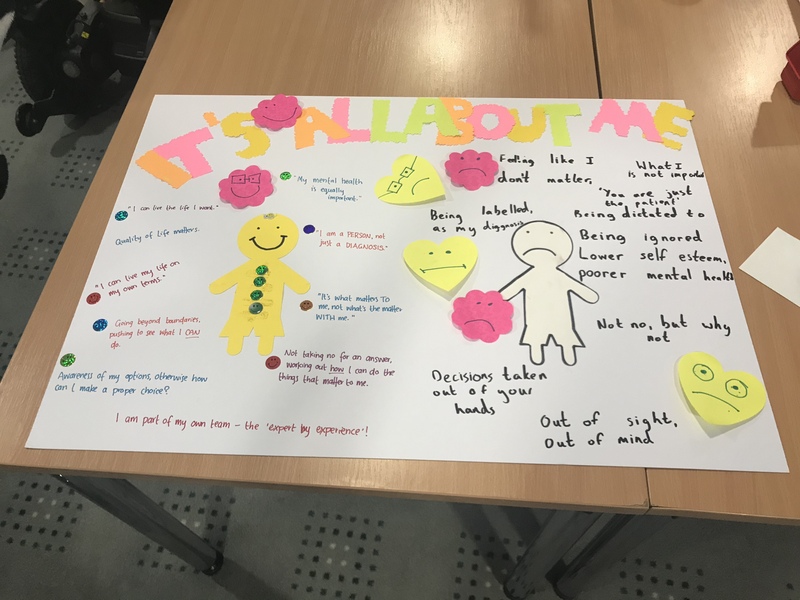 As part of the course, we all have to speak for ten minutes about how personalised healthcare or shared decision making has impacted our lives, in either a positive or negative way. I’m not doing mine until November, which is just as well because I’m still scratching my head over how on earth I’m going to fit everything I want to talk about into ten (!!) minutes! I’m also feeling slightly more nervous than I expected, because the people who spoke on these two days set the bar extremely high! On Tuesday morning, we heard about how personalised care and support planning relates specifically to people with long term physical or mental health conditions. These people make up about 30% of the population, including myself and a fair few others in our group. During our discussion, there was a really mixed bag of responses. Some people had had really good experiences and felt well supported, right up to the point of having been directly asked what they wanted out of life, but others described things that weren’t so good. This shows why it’s important to learn about these concepts, so we as patients/carers and as individuals, can know what a good experience looks like, and how to assertively ask for one if we need to. After our morning break was my Official Favourite Thing So Far. My inner child was extremely excited to see glitter, glue, coloured pens and all sorts of different bits and pieces! This activity did have a purpose, rather than just transporting us all back to our childhoods! We were asked to create a poster to illustrate the difference personalised care could make to somebody’s life. After a few minutes deliberating over what we wanted to use, our group decided on “as much colour as possible” and came up with the idea of dividing our poster into two sections. The happy yellow person was surrounded by all the benefits and positive aspects of personalised care. Yellow Person’s medical team was engaged with them and prepared to listen to what they wanted. They felt like they mattered because their medical treatment allowed them to achieve the quality of life they wanted. They are an “expert by experience”. On the other side, Invisible Person was just that, invisible. They were physically there, but nobody listened to them or took the time to find out what mattered to them. Their medical treatment was done TO them, as opposed to WITH them. Even though I forgot to photograph any of the others, it was interesting to see how each group presented their ideas. Our crafty little interlude definitely got us all to think about things in a slightly different way. After lunch we heard a few more personal stories from group members. Some of these were definitely food for thought for me. Although they talked about topics and circumstances I knew almost nothing about, there were still some aspects of their experiences which are very similar to my own. 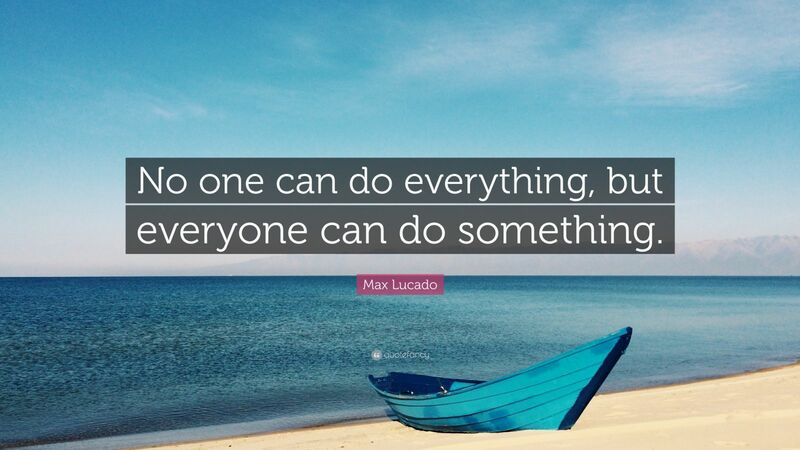 In particular the importance of feeling like your disability or medical condition doesn’t have to be the end of absolutely everything, and that, with the right support, you’ll often end up being surprised by what you can achieve. Before the end of the first day we talked about change, how different people deal with it, and how we can help to create it. We compared it to grief in the way that our response often goes along a continuum. It starts with being a bit bewildered by it all and not knowing how to respond, through being upset or angry about it, before eventually being able to accept the change and integrate it into our lives, whether or not we ever come to “like” it. 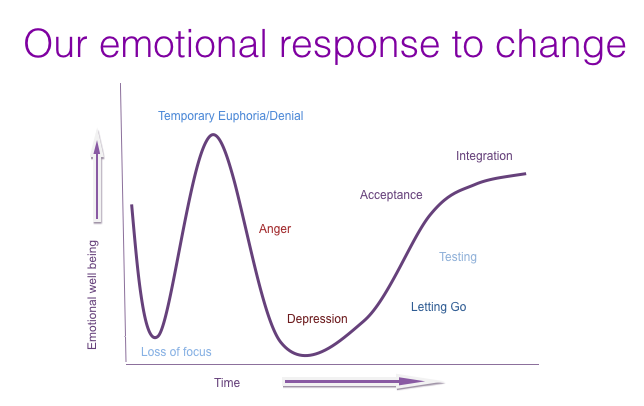 Throughout this time, our emotional wellbeing goes up and down as well, which is an important thing to recognise. This way of looking at change was really interesting for me, as I’m somebody who doesn’t like change very much and typically takes longer than average to get my head around it. I can definitely relate to this continuum, particularly the “loss of focus” at the beginning, and “testing” near the end. Wednesday started with another group member’s presentation. I really identified with this one as this person came from a similar background to myself. She was diagnosed with a chronic illness as an adult, and had to come to terms with the way it was going to change her life. She talked about how she worked alongside her medical team to find a treatment plan that worked for her, and got to a point where she felt like she could still have the life she wanted, even though her medical condition was now an irreversible part of it. After this we were asked to try and think about how other people might view situations, and changes in situations, differently to the way we do. This was interesting because it allowed us to think about assumptions we could be making about other peoples thoughts and feelings which might not really be the case at all. Perspective is a really interesting thing, that’s for sure! After another personal story, we had lunch (and noticed that large amounts of cake seem to be a recurring theme on this particular course! Definitely not somewhere to come if you’re trying to lose weight, that’s for sure!) We then moved on to hearing from somebody else. This presentation was one of the ones that made me think the most. The speaker was very open and honest about the difficulties she faced as a result of her circumstances, as well as about judgement from other people who assumed she was far less capable than she really is. I loved the quote she used at the end of her presentation. After this we talked about What Not To Say. Parts of this session were really funny! Several of us had some outrageous examples of times when people had say unbelievably inappropriate things to us, but it also showed the harm that can be caused, even unintentionally, when you open your mouth before you engage your brain! We also discussed times where we would have liked to say something but have wisely chosen not to, and our reasons behind that. Most of the responses were fairly similar, things like not wanting to offend somebody, being worried about how they might react, making things awkward between parties that need to work together etc. The purpose of this session was the importance of “picking your battles”. Knowing when to say nothing at all is just as valuable as knowing what to say. Lastly, we talked about boundaries, and the importance of deciding for ourselves where these should be, particularly when we’re involved in advocacy work and volunteering. This is something I have struggled with in the past, particularly when I’ve been involved in peer support or mentoring with people whose medical circumstances and experiences are very similar to my own. How can I help and support them, without taking on their problems as my own and doing my own mental health and emotional wellbeing a disservice?